Home / Asian news / current events / Donald Trump / Philippine Political Issues / Politics / President Rodrigo Duterte / social media / South China Sea / Is Duterte's Anti-US Stance a Boon or a Bane: Is It Really a Game Changing Strategy? Is Duterte's Anti-US Stance a Boon or a Bane: Is It Really a Game Changing Strategy? When Fidel Castro, the long-time president and dictator of Cuba died this year, people remembered him as one of those rare world leaders who defied the US Government. And all of sudden, there was a renewed interest on President Rodrigo Duterte, as he just declared that he is in the league with the Cuban president because of his recent anti-US pronouncement. 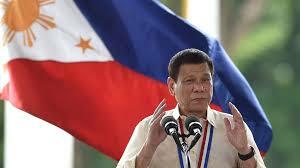 The day that the foul mouthed, womanizing, anti-drug advocate (and other worst adjectives attached to him) declared his negative pronouncement against the Philippines' former benevolent benefactor, he shook the world and just made a game changing direction towards Filipino foreign policy. His Anti-US stance became more evident before he left for Laos to attend the Asia-Pacific Economic Conference (APEC.) His anti-American rhetoric became unacceptable when he berated a top US government official based in the Philippines for being gay and called President Obama as son of a whore. 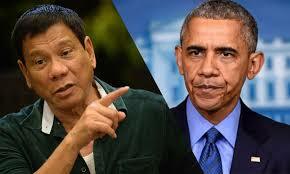 Many Filipinos were surprised with the incumbent president’s tirade against the US government. Public opinion polls showed that Filipinos still love the US more than the Americans. To say that the reactions of Filipinos is mixed with regards to Duterte's anti-US statements is an understatement. For many Filipinos, it speaks of something that is akin to being a traitor to the hands that feed them; never in the history of Philippine politics that a leader made such pronouncement. In fact, history would tell us that it is a tradition of newly elected presidents to pay Uncle Sam a state visit months after he or she is elected president. The U.S. on the other hand, was quick to offer its felicitation for a new president. Before he left for Laos to attend the annual Asia Pacific Economic Conference which was attended by presidents and important leaders in the Asia Pacific region, Duterte lost his cool when a media reporter asked him on his preparedness to explain the proliferation of extra judicial killings in the conference to other leaders. He was irked by the question and out of nowhere, he brought a page from Philippine history that was already forgotten by millions of Filipinos. His response was that he is only responsible to respond to the Filipinos but not to the president of The United States of America. He said that there was a bit of hypocrisy for the Americans criticizing him on the way he battled drug menace in the country. He cited the supposed historical injustice the Americans did where 600 Moros (mostly children and women) were massacred in Mindanao at the wooded crater of Bud Dajo in 1906. He said that if Obama can answer on the injustice done to the Moros, then he will explain the spate of extra judicial killing happening in the country at present. His unfavorable sentiments to the Americans can be explained on his background being the first president that came from Mindanao which is a Muslim majority area. Some said that he is actually a closet leftist. And this could be attributed to the fact that he had Jose Maria Sison as his teacher when he studied political science. His left leaning tendencies were no accident and in fact he unabashedly admitted this “other dimension of his life” during an interview with Maria Ressa last October 2015. His negative attitude towards America could have been a result of an embarrassing situation that occurred while he was still a mayor of Davao City; it is now time for him to retaliate. In May 2002, the president claimed that CIA abetted the escape of alleged “treasure hunter” Michael Meiring moments after the American accidentally triggered an explosive device inside his hotel room in Davao City. 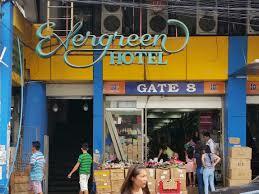 This incident according to then mayor at that time was an insult to the sovereignty of the country. And according to top opinion makers, it seems that President Duterte is still rankled by this incident; it is insulting for someone to come in the country and grab Meiring who was under investigation at that time and bring him out of the Philippines. The US government denied this incident. There is also a theory that Duterte considers America as an unreliable ally. In an interview with Rappler, he claims that America is “a wounded soul” and not willing to go to war because it cannot handle or cannot imagine the risks involved as America is also confronted with huge problems in its own land. Others also claimed that this is his way of showing to the US that he was slighted when he was treated in US immigration centers without respect that is supposedly accorded to a person holding an elected post in the country. He was denied a visa during one of his visits in the US while he was still a mayor of Davao City. And he attributed this denial as a US retaliation when he refused entry and military access to the Davao City airport during the Meiring bomb explosion incident and on his supposed records of extra judicial killings in Davao City. What many Filipinos has forgotten is the fact that this is not the first time that anti-American sentiments were as glaring as this. In fact, there were several occasions when important political figures showed their political independence. In 1991, the Philippine Senate formally proclaimed that the US can no longer maintain their naval bases in the Philippines and were booted out after several decades. And, in 2005, then former President Gloria Arroyo signed a treaty with China solidifying military partnerships of both countries. But, Duterte’s political independence is on another level as his pronouncements were peppered with colorful words; thus, shocking not only locals but also those who are living abroad. It is not a common phenomenon where a president of the republic would call another president and of the US at that as a “son of a whore.” It is not a daily situation when a top leader of the country would use homophobic slants against a foreign dignitary. And it is not every day that you hear a leader teaching his constituents about history and reminding them of the atrocities the Americans committed during their colonizing days in the Philippines. President Duterte’s anti-American stance did not sit well with many Filipinos, investors, and to some Americans. There are already some signs of the negative effects of his lambasting the American. It is reported by major local dailies and the headlines screamed that President Duterte is scaring investors. According to some reports, the semiconductor industry is already affected with halting of investments and orders. Per Bloomberg, the head of Semicon and Electronic Industries in the country is crossing fingers that the negative effects will not result in shutting down operations of some major semiconductor companies in the Philippines. There are also gloomy and doom reactions and quite a number of Filipinos are worried about the prospect of businessmen and powerful military leaders who are known to maintain close ties with the US and may turn against President Duterte. According to several conspiracy theorists, it was the hands of America that helped topple the Marcoses. It was the elite backed by the US which ejected President Estrada from the seat of power. And, American influence was present when President Gloria Arroyo was able to hold on to her fragile term. According to economic statistics, since June of 2016, investments in the country have lowered down to only 41 percent and it is still doubtful if Chinese companies operating in the Philippines can reverse this trend. Duterte is really damaging the Philippine economy as a result of his anti-american pronouncements and one glaring proof is that the peso is at a 7-year low compared against the US dollar. While it is a good thing for dollar earning OFWs and their families, it is not a welcome development for millions of government and private employees as the increase in exchange rate will mean an increase in inflation rate also. 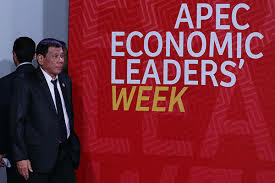 If the doomsday scenario will materialize on the economic front, it will not be surprising if millions of Filipinos (even those who are his rabid fans) will make the connection between economic downturn and his anti–American pronouncements. With more than 100 years of historical relationships, it is quite difficult to underplay President Duterte’s tirades against Obama and the US. Of course, people are curious and want to know different reactions from various world leaders. Duterte’s stance really complicates many things. The Obama camp indirectly responded to Duterte’s latest barbed against he US and just said that they are a bit concerned with the malicious rhetoric. Clearly, Obama and his people know that Duterte was just spewing words and calling Obama as a son of a whore is just plain words of frustrations. Though from the words of his press secretary, “the threats” launched by Duterte do contribute some uncertainty and this uncertainty is somewhat off tangent considering seven decades of mutual relationships and benefits both countries have gained. Incoming US President Donald Trump said during his election campaign that Duterte showed a lack of disrespect to his country. But his pronouncements were limited on Duterte’s declaration that foreign troops should pull out of Philippine area. But, Trump seems to be on Duterte’s side as he lambasted outgoing President Obama that it was his lack of participation and engagement with world leaders that resulted in this downturn between the US and the Philippines. 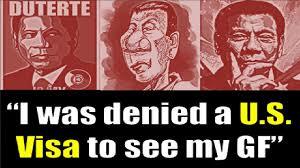 Former Philippine President Joseph Estrada feared that Pres. Duterte might be booted out from office due to his anti-American pronouncements as one of the severe consequences. His political independence stance might expose the president to many extreme political risks such as the US acting to oust him from Malacanang. He further added that US did it to him; removing from office which was dubbed as EDSA 2. Estrada claimed that the US would always do what it wants and Duterte’s political independence is not the kind of stumbling block they want. 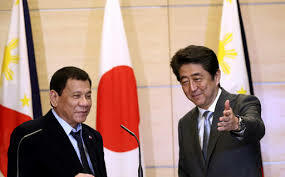 Japan’s Prime Minister Abe felt uneasy with Duterte’s US tirade as these are only mere words and it is the action that is most important especially if it involved the China Sea conflict. But, this did not mean that Japan will not help Duterte. In fact, Japan has already pledge around Y21.3 billion in terms of loans to help fund agriculture development in Mindanao and to build coast guard vessels. Prime Minister Abe also offered help for programs on drug rehabilitation. A scheduled meeting between Crown Prince Akihito of Japan and President Duterte was cancelled and it was not clear if it was due to his tirades against the US. What Happens When America Leaves the Philippines? There is that question about what happens if the Americans leave the Philippines before one tries to answer the question “what is Duterte trying to achieve?” Is he trying to change the rule of the game? Is this part of his “art of war” tactics to bluff the Americans? Or is just one way of trying to get media and international attention and re-align focus from drugs and extra judicial killing to anti-US sentiments? This is a nagging situation and all the more that this is quite a great concern considering that Trump won the election instead of Hillary Clinton. 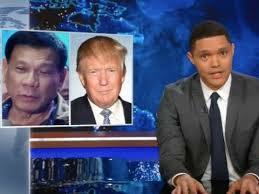 A Duterte and Trump collaboration is not possible or will not result into positive things considering that both are hot headed and work more on emotion rather on logic. A Hilary Clinton administration would be more tolerant with Duterte as Clinton is known to be a rational stateswoman. Despite indirect pronouncement from the Americans, Duterte’s continued tirade would eventually result into negative consequences. According to Josh Earnest, the White House secretary, it would put greater risk into an already dangerous alliance between the US and the Philippines. He further added that it will make the Philippines as an unreliable ally and at the same time will tilt the balance of security in the Far East. With Philippines siding with Beijing and Moscow, it will put pressure to the US in its ability to defend its freedom to navigate South China Sea. Of course, a China-Philippines partnership will embolden the US. With Trump holding the presidency in the coming days, it is predicted that this situation will not sit on him well. It is expected that economically, Philippines will be at the losing end but more and more people are really getting worried on the prospects of volatile peace and security situation in the area as a result of Duterte’s continued anti-US pronouncement. What is Duterte Trying to Achieve? Until now, not a single soul can fully explain the reason why Duterte is bent on shying away from the US and establish and increase relationships with China and Russia. One can only speculate. But the real deal is that Duterte can do as such because he can. With more than 16 million voters electing him into office and with highest satisfaction rating ever for a president, there is no doubt that Filipinos will rally for him. So perhaps, this is his way of reminding the US to fulfill more obligations and donations to the Filipinos because based on statistics, the Philippines is the friendliest among US allies but only receive minuscule financial assistance compared to hostile allies. It is also worth noting that most Filipinos are passive admirer of the US for as long there are benefits involved in it. 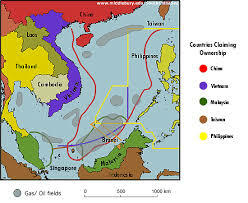 It can also be his way of softening the impact on The Hague’s ruling with regards to territorial waters. It cannot be denied that China is a huge superpower and the Philippines cannot handle it alone so all the more reason for Duterte to align with China when you consider that the US does not really rally to its allies immediately; it takes time. 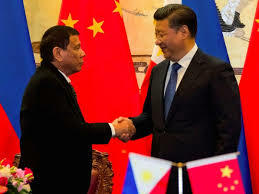 You need to remember that Duterte is not actually pursuing an alliance but is bent on seeking financial assistance from China as there is already a “donor fatigue” not only between the US and the Philippines but with the rest of other donor countries as well. 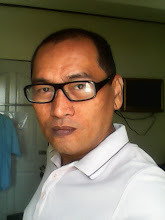 Perhaps, it is his way of mitigating the reality that donor countries are not so eager to help the Philippines as of this moment because of the scandals involved when it comes to foreign aid especially during the height of Yolanda crisis where foreign donations were not evenly and totally distributed but used for political reasons. Duterte’s tirade against the US can be summed up as his way of correcting the atrocities the US government inflicted on the country. The Philippines has always been on the shorter end of the stick. Filipino political leaders in the past promulgated upon US instigation laws that were detrimental for the Filipinos such as the Bell Trade Act which gave the American equal economic rights with the locals. With that, his tirades against the US might be construed as a series of steps to realign the position of Philippines as one of the world’s most important and strategic location; therefore, it deserves all benefits and assistance worthy of this situation. It could be that in the coming days or years, the Philippines will finally have strategic alliances from different countries where it is equal with the rest of the world. At the end of the day, perhaps we will thank Duterte for erasing the “beggar’s mentality” which the Filipinos is known for historically. It is time for the Philippines to put its claim and do not rely on US when it comes to social, political, and economic development. It is also time for the US to be held responsible for the many crimes it committed to the Filipino nation as a whole. Probably, Duterte is right after all in pursuing political independence from America. Perhaps, it is time for Filipinos to wake up and realize that America was not really the benevolent benefactor that we're brainwashed with. It is high time that Filipinos will decide for themselves, not the Americans dictating our foreign policy. Maybe, the “bad boy” policy of Duterte will really work for Filipinos. Let's wait and see.